Celebrate the Arts at TASIS This Month! 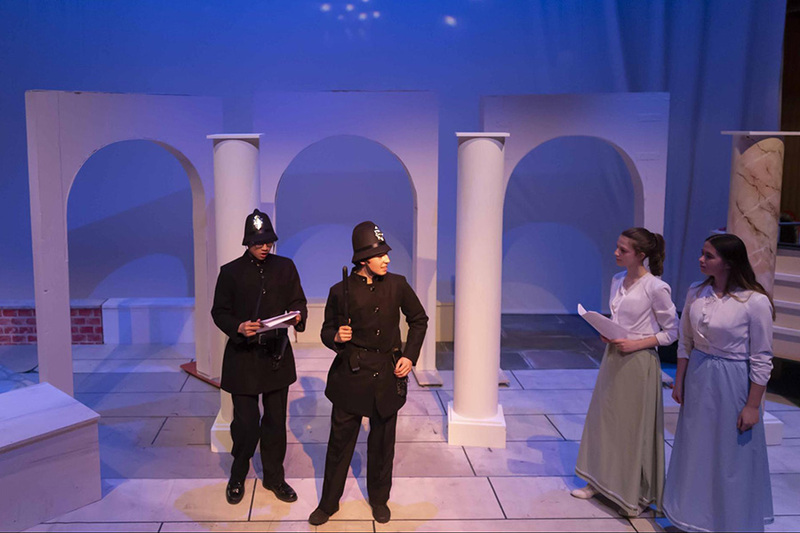 The 45th annual TASIS Spring Arts Festival may not kick off for another few months, but there are still a pair of exciting visual and performing arts events to enjoy before the month of March is out. Please join us on campus for the IB Visual Arts Final Exhibition, which kicks off this afternoon and runs through Sunday, and for the High School Spring Musical, which opens next Friday evening and also runs Saturday evening and Sunday afternoon. See below for more details. All members of the TASIS community and the general public are cordially invited to celebrate the IB Visual Arts Final Exhibition in the Palestrina and Ferit Şahenk Fine Arts Center beginning at 16:30 this afternoon. Join us for some refreshments and discover what our talented senior artists and designers have been up to in the studio over the past two years. 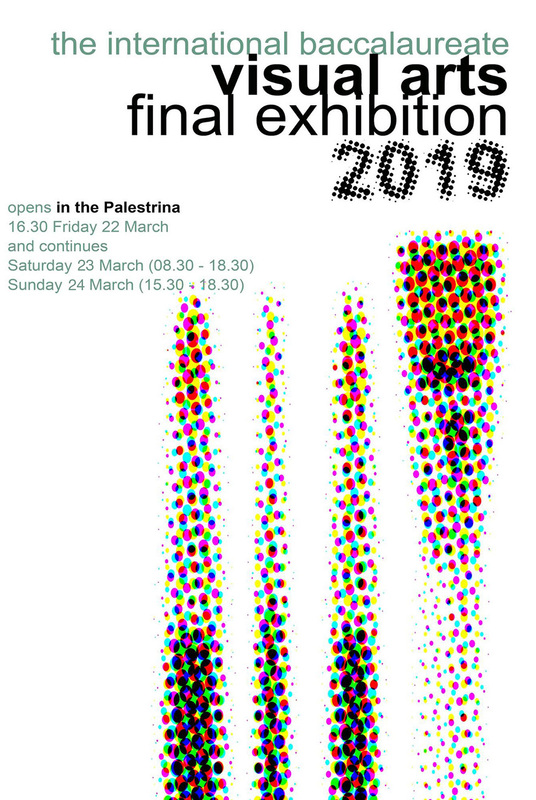 The exhibition, which constitutes the internal assessment element of the IB Visual Arts course, will also be open on Saturday from 8:30 until 18:30 and on Sunday from 15:30 until 18:30. 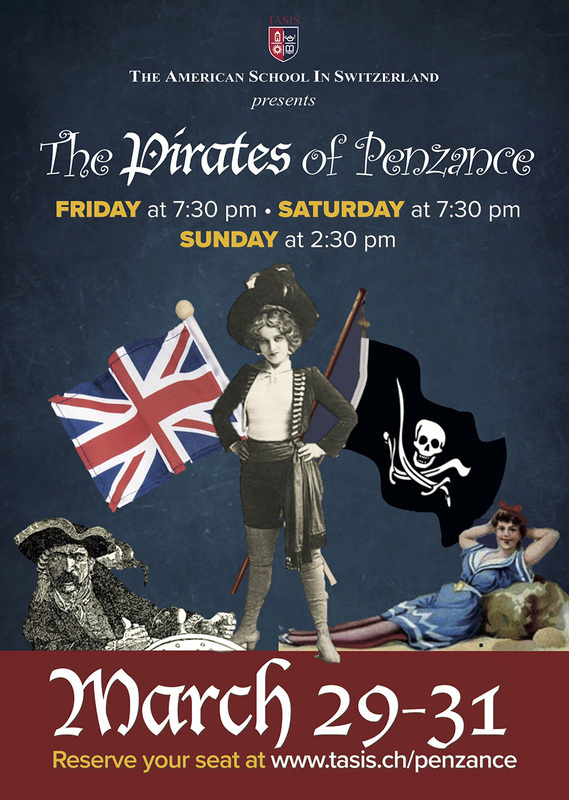 Fall Tragedy turns to Spring Comedy with Gilbert & Sullivan’s very funny musical operetta, The Pirates of Penzance. This year’s High School Spring Musical features multiple swordfights, bumbling policemen, spirited teenage girls, comic romance, high-energy and beautiful songs, rowdy dancing, and, of course, PIRATES! With wit and broad humor, hummable songs, a playground of a set, beautiful costuming, and terrific performances from the cast, the show is guaranteed to be great fun for all ages! 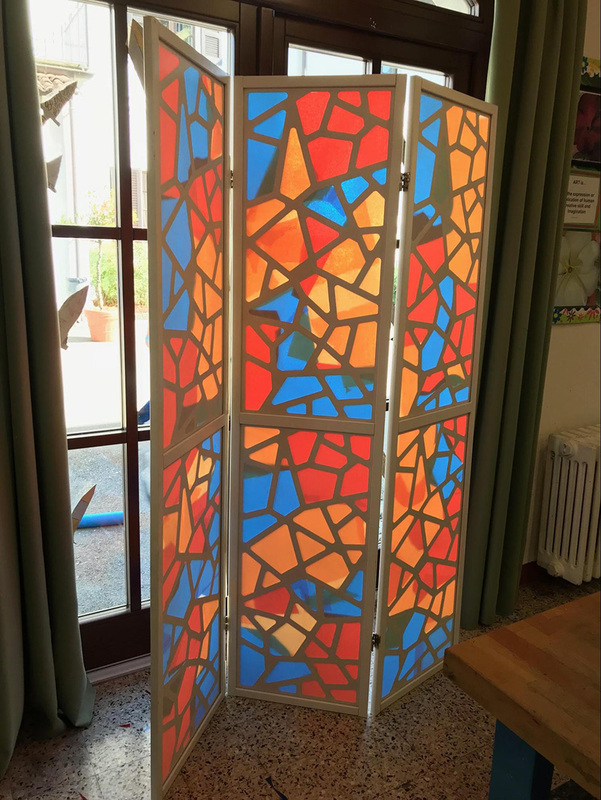 Of special note to Elementary School families: Ms. Caroline Rossi's fourth-grade art classes helped create stained glass window screens for the musical’s Act II set, so don’t miss out on this chance to see their beautiful scenic art onstage! This weekend’s activities include a hike and overnight stay in a mountain hut on Friday, cookie decorating in De Nobili on Saturday afternoon, an Open Mic Night in De Nobili on Saturday evening, and an indoor rock climbing trip or FIFA tournament on Sunday afternoon. Students should consult the HS Daily Bulletin for more details about all these activities. Beginning on Monday, March 25, students may wear a burgundy, navy, or white TASIS polo shirt. Please refer to pages 76–78 of the High School Student Handbook for more information about the TASIS dress code. The High School Student Council has organized a 3-on-3 basketball tournament for High School and Middle School students from 16:00–18:00 on the afternoon of Wednesday, March 27. All games will be played on the outdoor courts on the main TASIS campus. 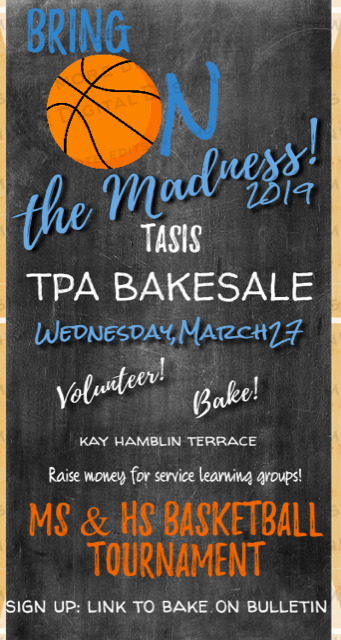 The TASIS Parent Association (TPA) will help organize a bake sale for this event, which all students, teachers, and parents are welcome to attend. The TPA is looking for lots of baked goods and many volunteers. 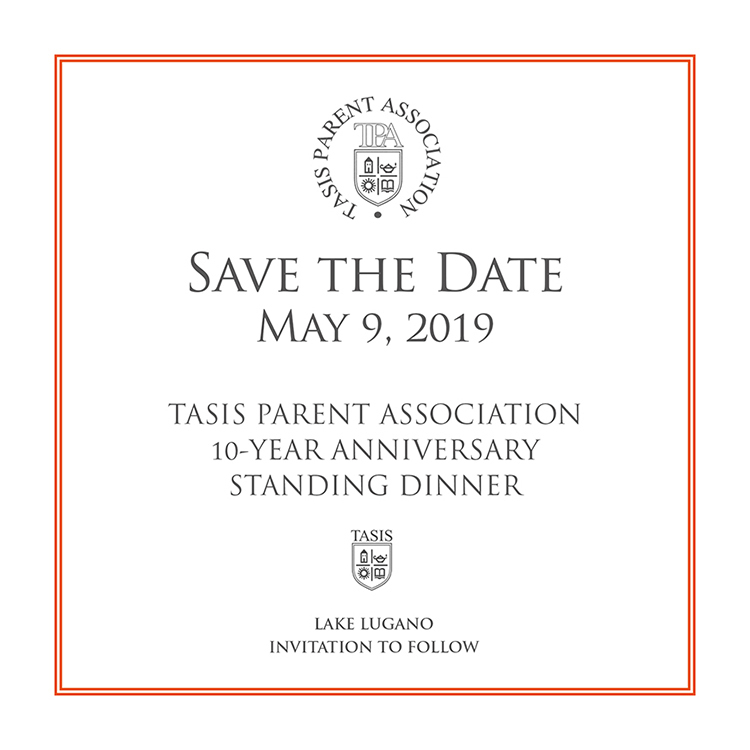 Please send an email to tpa@tasis.ch or sign up here if you would like to join us for this event. Baked goods can be brought to the Gazebo between 8:00–8:30 or to the Kay Hamblin Terrace (next to the Campo Science Center) between 15:00–16:00 on the day of the bake sale. All proceeds from this event will benefit the TASIS Service Learning Program. There will be yet another opportunity to enjoy the arts at TASIS early in April, as the Percussion Ensemble of the G. Verdi Conservatory of Como will return to TASIS and perform in the Palmer Center at 19:00 on the evening of Thursday, April 4. Travel plans for the Spring Holiday (April 13–28) should now be in the finalization step. Students must complete their travel forms by Thursday, April 4, and complete all necessary brown forms at least 24 hours before their departure. Return flight information is required before students are granted permission to travel.